SOARING EAGLE OUTERWEAR, INC. solving Tee Shirts & Sweat Shirts production and contracting needs. 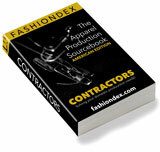 Description: Contractor of jogging suits, sweatsuits & more. Compare SOARING EAGLE OUTERWEAR, INC. with all 19 listings in Tee Shirts & Sweat Shirts.